Picture a Day - The Holy Land Revealed: Renovations of King Hussein's Palace in Jerusalem? 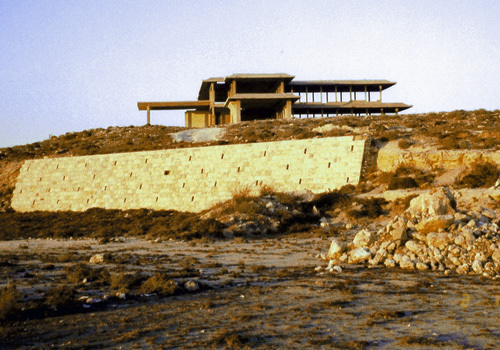 Actually, Not Just a "Hill of Beans"
Renovations of King Hussein's Palace in Jerusalem? Actually, Not Just a "Hill of Beans"
News reports this week claim that the Waqf, the Muslim authorities of Jerusalem, sent earth-moving equipment and fencing in order to claim the hilltop in northern Jerusalem where Jordan's King Hussein started to build a palace in the 1960s. The frame of the palace was erected, but construction stopped as war drums started to beat. Jordanian military bunkers and trenches were dug, and Jordanian M-47 Patton tanks were dispatched to the hill, called Tel el-Ful ("Hill of Beans"). The deployment of American-supplied tanks by Jordan's army was in violation of the weapons provision that restricted their use only to the east bank of the Jordan River. Tel el-Ful's location and height have made it a strategic site for 3,000 years. When the 1967 war broke out and Jordan shelled the Jewish side of Jerusalem, the Israeli Defense Forces flanked the Old City from the north, capturing Tel el-Ful on their way to reuniting Jerusalem. But it was not the first time the Hill was drenched with blood. 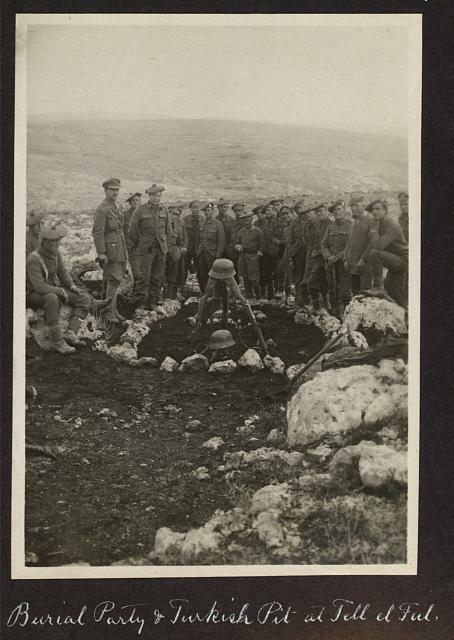 Two weeks after the city of Jerusalem surrendered to the British army on December 9, 1917, the German commander unleashed a Christmas counterattack that was blocked at Tel el-Ful with heavy Turkish casualties, as documented in the Library of Congress photo collection. 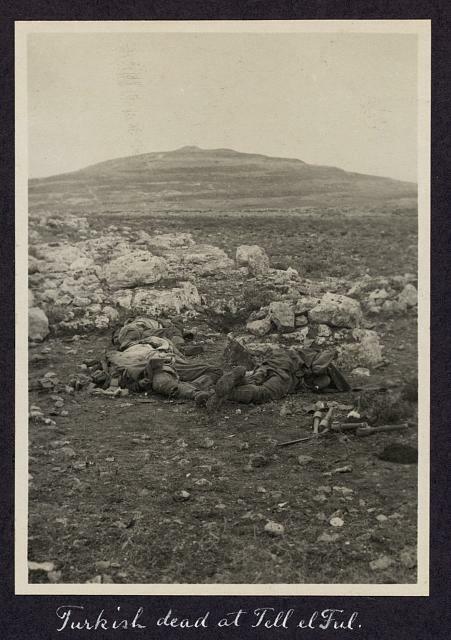 It was the last gasp of the Turkish campaign in Palestine. The hill was also known as Gibeah/Givah, a Biblical town responsible for a near civil war in the early stages of the Israelites conquering the land of Israel. King Saul established his court at the location for 38 years, earning the location's name "Givat Shaul." It also served as a Philistine redoubt.